It is a common belief amongst tea enthusiasts that antioxidants present in the drink can help alleviate many medical conditions, thus making it a very healthy. The fact of the matter is that while tea does have numerous health benefits, it’s nowhere close to being the magical elixir that many would have you believe. Although, teas – especially matcha and green tea – are generally a healthier alternative to popular sugary beverages and may help to prevent cardiovascular diseases along with some cancers, the benefits are not as pronounced as you’d expect. But, what if we told you there just might be a blend of tea that may actually be the magic elixir to help you live a youthful, healthier life? Tea enthusiasts rejoice; a special blend of tea that originates from South Africa, which boasts numerous health benefits including nourishing the bones in your body, cancer prevention and weight loss, might just become your new favorite beverage. Known as rooibos tea, this blend contains antioxidants which can be very effective in combatting various diseases with some experts even claiming that there is no part of your body that does not get positively affected by consumption of rooibos tea. Originated in South Africa, this blend is gaining popularity in other parts of the world, especially in the west due to the countless health and physical benefits attributed to it. 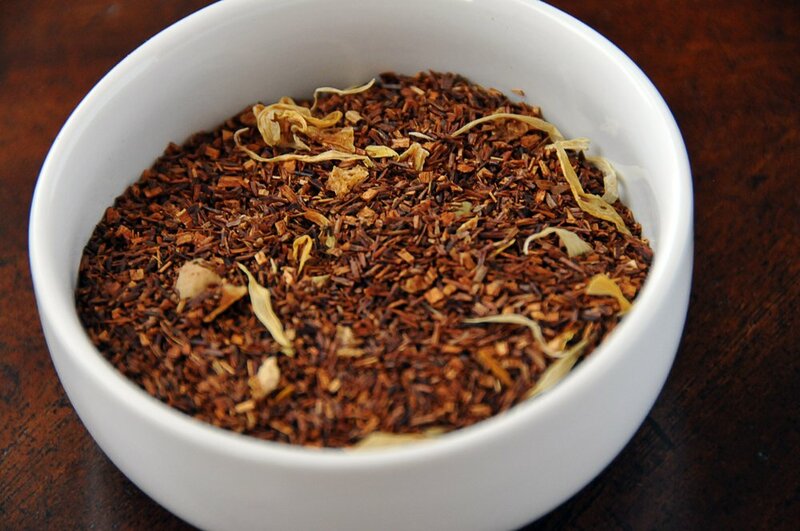 The rooibos tea is prepared from the leaves of Aspalathus Linearis, a plant that grows in the mountainous regions of Cape of Good Hope in the western coast of South Africa. 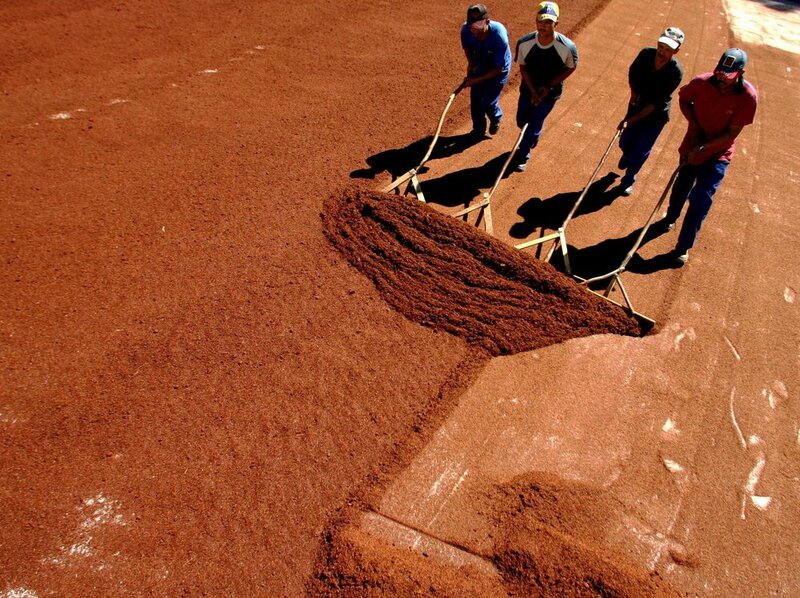 The procedure involves the fermentation of tea leaves which changes their color to brown which are then processed to convert them into grains of tea. Consumption of this tea is not dissimilar to other types of tea and the blend can be added to milk, consumed in the form of iced beverage or mixed in espressos, cappuccinos and lattes. A Healthier Alternative to Black and Green Tea? While black and green tea do have some health benefits, they contain ingredients like caffeine, oxalic acid and tannins which have been deemed unsafe if consumed excessively. Caffeine can be an excellent stimulant and useful for productive activities, but increased consumption of caffeine can possibly result in heart palpitations, hypertension and sleep disorders. Similarly, tannins present in conventional tea can hinder the breakdown and absorption of various nutrients in the bloodstream while oxalic acid can increase the possibility of kidney stones if consumed in excess. Rooibos tea is an excellent alternative to convention black and green tea since it does not contain any caffeine or oxalic acid. It also has much lower quantities of tannins than conventional teas. 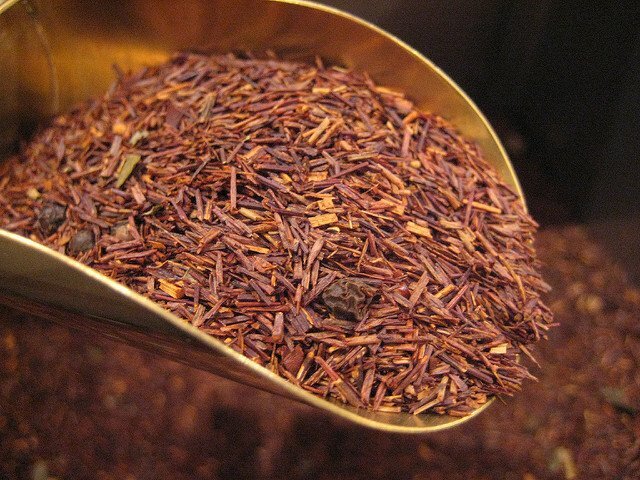 Rooibos also contains antioxidants like aspalathin and quercetin which boast numerous health benefits including asthma relief, better skin condition, lower risk of sleep disorders, healthy bones and fewer anxiety and eczema symptoms along with reduced risk of cancers and heart-related conditions. Furthermore, rooibos tea can effectively combat premature aging and digestive issues as well along with providing the body with a healthy dose of rich minerals and nutrients like iron, magnesium, zinc, copper, potassium, calcium, manganese, fluoride and alpha hydroxy acid. 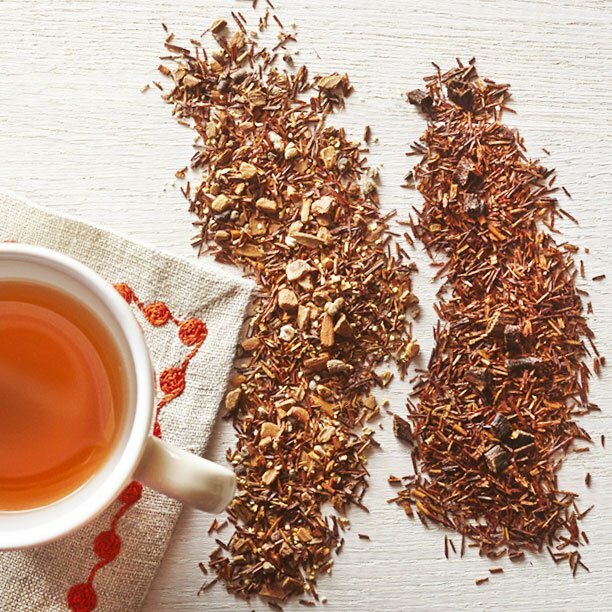 The mineral-rich blend of rooibos tea can alleviate various bone conditions like aches, joint pains and more severe conditions like arthritis and osteoporosis. These nutrients also help strengthen the bone structure, build bone mass and repair any damage done to the bones. Presence of minerals like zinc, calcium, copper and potassium can lead to much healthier hair and skin since they promote hair growth and strengthen hair follicles, reducing the risk of hair loss and also helping to exfoliate the dead cells on the scalp that block the growth of hair and cause dandruff. Finally, Rooibos tea also helps with effective blood circulation. Many people suffer from poor blood circulation in their bodies which can make them prone to conditions like cardiac arrest and other heart problems. The presence of flavonoid, an antioxidant with anti-inflammatory properties, helps to improve blood circulation whilst lowering cholesterol levels in the body.